* This is a comparison of how well the logit does relative to the probit when the data is generated from the assumptions underlying the probit. 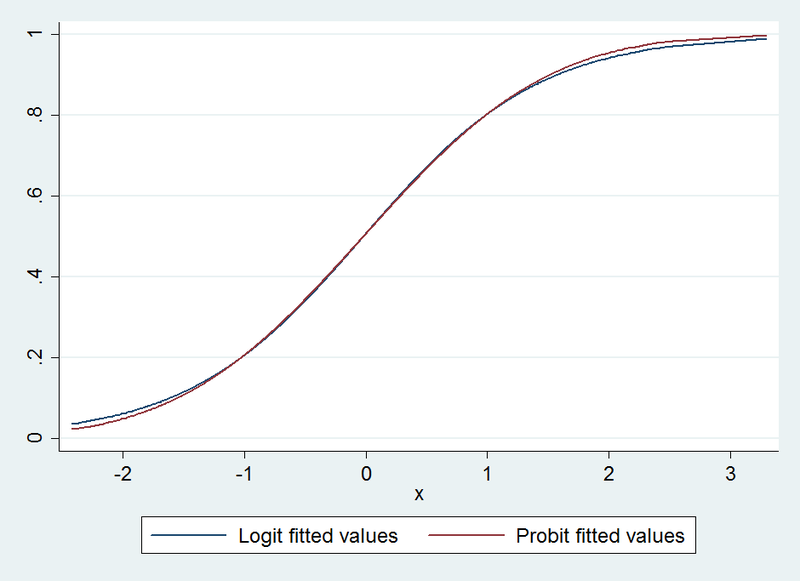 label var y_probit "Probit fitted values"
label var y_logit "Logit fitted values"
di "It is a somewhat well known property that probits and logits are in practice almost linearly equivalent." 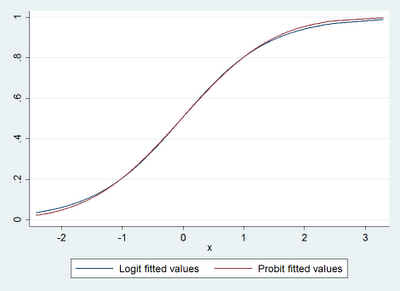 di "The ratio of probit to logit is: `=`coef_probit'/`coef_logit''"
* Check out that R-squared! * So what does all of this practically mean? * Feel free to switch between probit and logit whenever you want. The choice should not generally significantly affect your estimates. * Note: for mathematical reasons sometimes it is easier using one over the other.